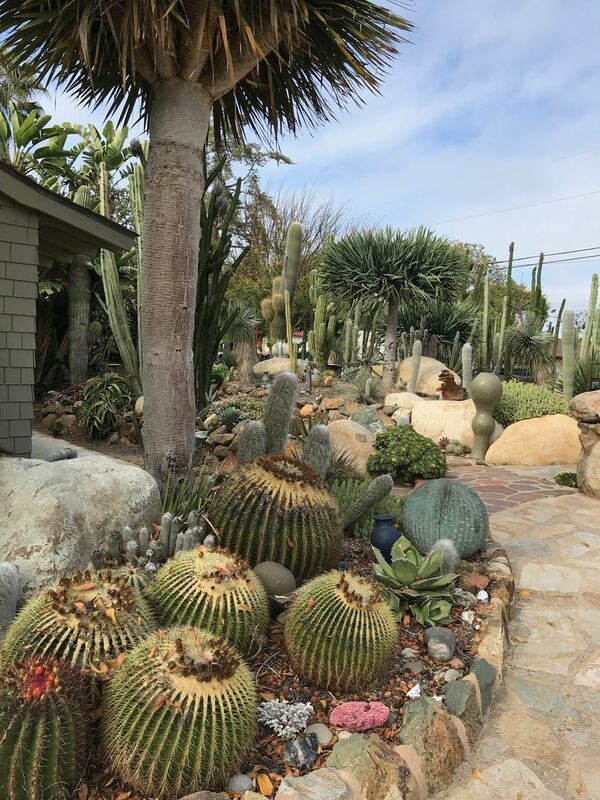 Whether you joined SDHS last month or last year, you're invited to our New Member Orientation in the garden of ceramist Laird Plumleigh in Encinitas. Laird's home was on the 2018 Garden Tour, and we're excited to experience it again AND shop in his ceramics studio. From 10-11AM, meet members of the SDHS Board and hear how you can become more involved, learn about upcoming events, and talk plants! Space is limited, so register TODAY. If you can't make the orientation, you can still take part in the Featured Garden/Studio Sale from 11AM-2PM. Please note that purchases can be made with cash and checks only. Laird Plumleigh's two-acre rustic and informal garden surrounds his home and ceramics studio, and features 30-year-old succulents, fantastical garden art, water features, an aviary, and a unique collection of mature plants, all suited to San Diego’s dry climate. Stroll the garden and meander through Laird's working tile studio complete with a walk-in kiln and racks of tiles and garden art for sale. Laird's artistry has been featured in numerous publications and can be seen at local landmarks including the Lodge at Torrey Pines. Please note that parking will be at a premium, so it would be best to plan to park about 200 yards away at Capri Elementary School and walk to Laird's home. If this event fills before you have a chance to register, please note that we will have another New Member Orientation in early 2019. And, even if you can't come to the Orientation, you can attend the Featured Garden/Studio Sale from 11AM-2PM. Address sent with registration confirmation. There are uneven surfaces in the garden. Please wear walking shoes and watch your step. Purchases made with cash or check only.